I have another favorite new cookbook…’A Year of Pies’, by Ashley English, and this is the first yummy delight that I tried – enjoy! Roll out your pie crust as you would for a pie and use a 5 or 6 inch round to cut out circles. Re-roll the dough as needed to get as many circles as you can, I think it’s possible to get a dozen pies if you’re careful. Lay the rounds on parchment lined baking sheets and refrigerate while you prepare the filling. Place all of the filling ingredients in a large bowl, stir well with a sturdy spatula and allow the mixture to sit for about 30 minutes. Pour the mixture into a strainer over another large bowl and allow the juices to naturally drain – don’t squish or squeeze the fruit! 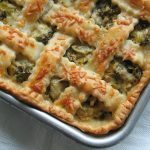 To assemble the pies, place a tablespoon or 2 of filling into the center of each chilled pastry round, fold it over and seal the edges carefully with a fork. 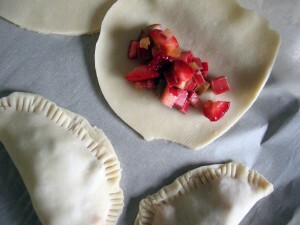 No matter what you do, they will leak a bit of juice as they cook, but the filling will still hold a perfect consistency. Once all of the pies are assembled, put them back into the fridge for about 20 minutes and preheat your oven to 350. 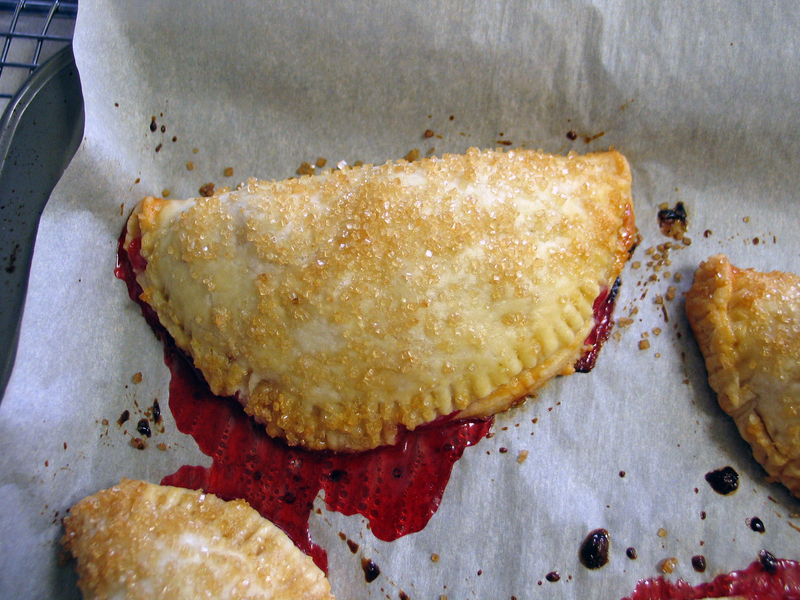 Whisk the egg yolk and milk in a small bowl and brush this wash evenly over all of the chilled hand pies. Sprinkle liberally with demerara sugar and bake for about 30 minutes until the crusts are golden brown. Allow them to cool for about a half hour before trying to eat them! So tasty!